Decades of research confirm that high-quality pre-K programming can significantly influence young children’s development, providing the solid foundation needed for academic and life success. As a result, momentum has continued to grow around expanding the availability of pre-K programs across the United States, especially for children who live in underserved communities, who are dual language learners, or who have special needs. The leading questions now are less about whether high-quality pre-K education leads to positive outcomes and more about determining the elements of quality programming that yield these outcomes. 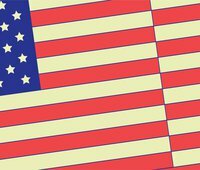 Since publicly funded pre-K programs are guided by varying intents, regulations, and funding approaches, there is little continuity in early learning. There are uneven standards for program quality, variable hours of coverage, incongruent eligibility requirements, and competing demands for accountability. As a result, practitioners, along with families and policymakers, have to sift through various approaches to find high-quality education and care for young children. If pre-K is to gain equal footing with other grades in public education, the early childhood field will have to come to a consensus on the key components fundamental to building high-quality pre-K. 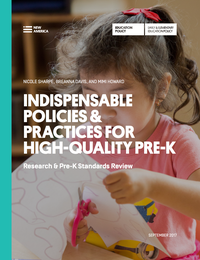 Indispensable Policies & Practices for High-Quality Pre-K synthesizes recent meta-analyses and other studies of pre-K programs and analyzes existing pre-K quality standards (see page 32) to arrive at a summary of policies and practices that are indispensable for high-quality teaching and learning in pre-K.